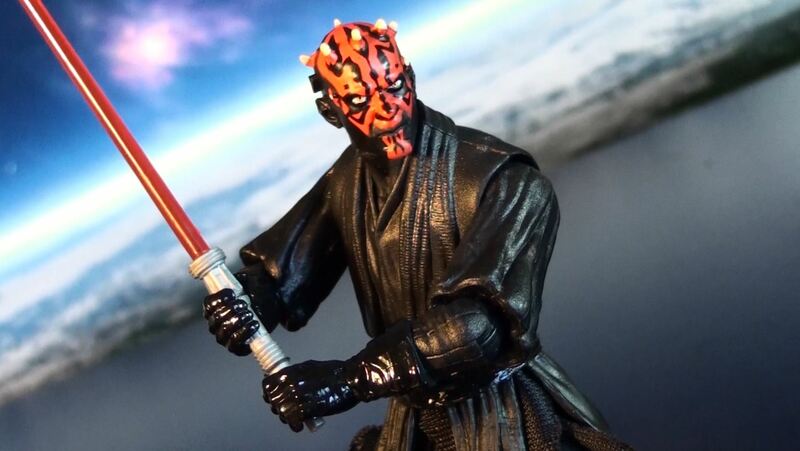 Hasbro kicks off their Black Series 1st wave of 6″ action figures with #2 in the wave, Darth Maul. 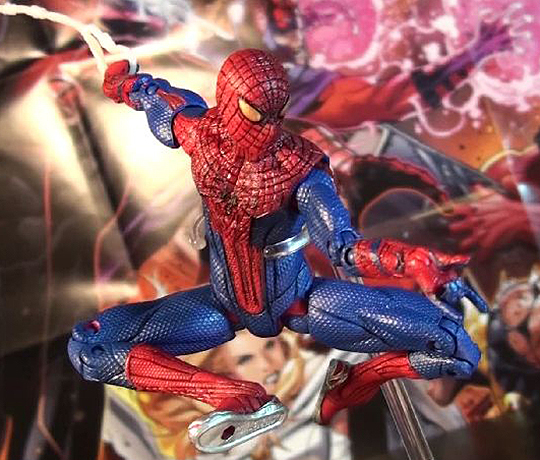 With screen accurate sculpting and multiple points of articulation for a wide variety of poses, this figure can do particularly anything. 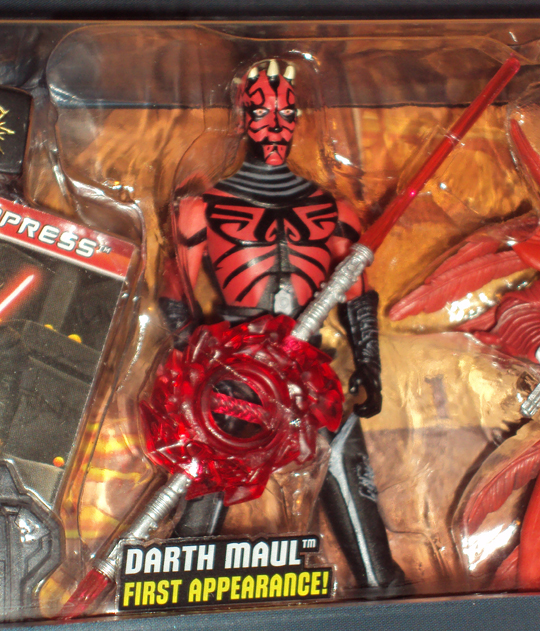 Includes his trademark double-bladed lightsaber, binoculars, and an extra robe attachment. Priced at about $20. 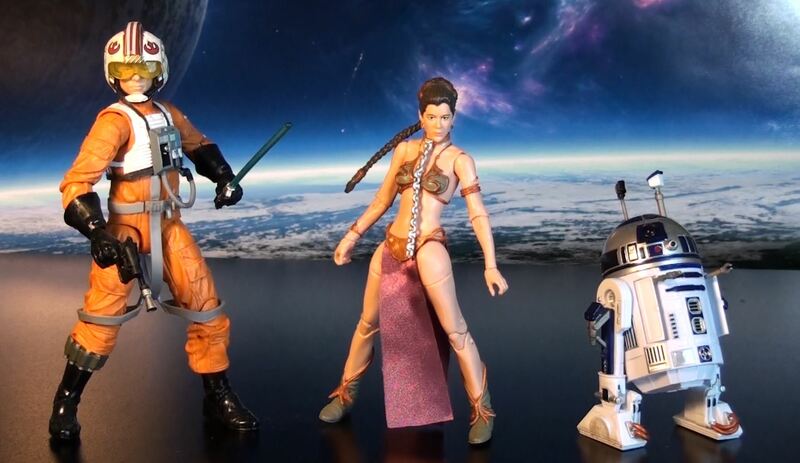 Adventures in Toy Shopping: Star Wars – Buy 1 Get 1 free at Toysrus! 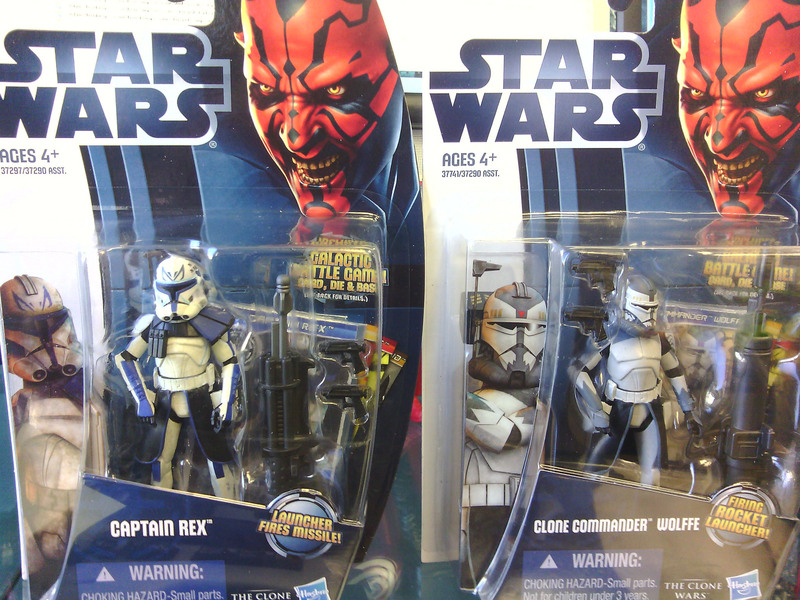 Walked into my local Toysrus and spotted new versions of Captain Rex and Commander Wolfe from the Star Wars Clone Wars animated series by Hasbro. I didn’t see any special sale tags for Star Wars toys so I’m guessing there was special going on for Rewards Card holders. 2 for the price of 1…Awesome. Ending the week with some cool mail orders arriving today. 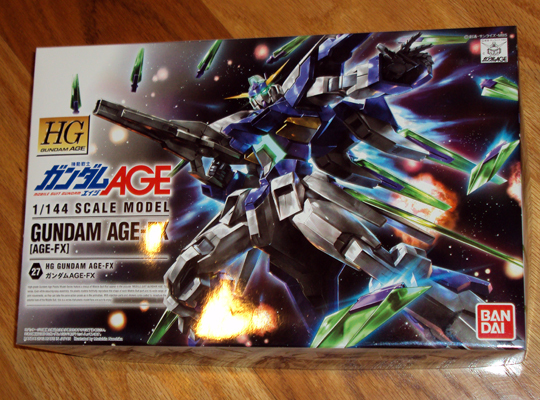 First up is my next Gundam model kit – Gundam AGE HG 1/144 Fx that I ordered for hobbywave.com. I’ve been in the habit of always tweaking the colors around to make it more personal/originally. I’ll need to load some product photos into Photoshop and experiment with the re-color paint pallet I wanna go with. I usually assemble while watching baseball…Go SF Giants! 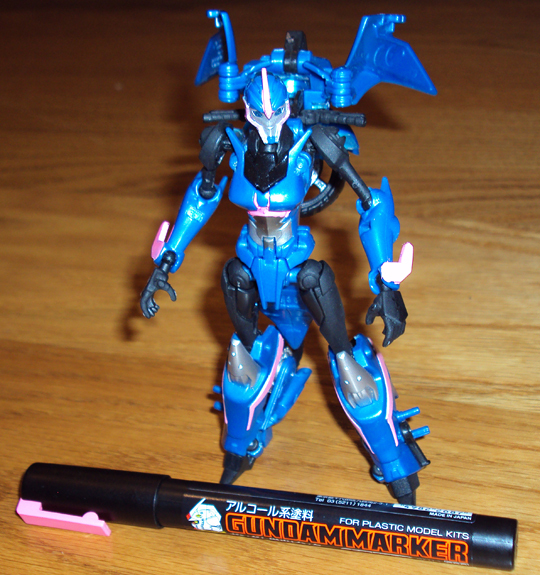 Along with my Gundam kit was a Pink Gundam Marker I wanted to try out on my Transformers Prime Deluxe Class Arcee. 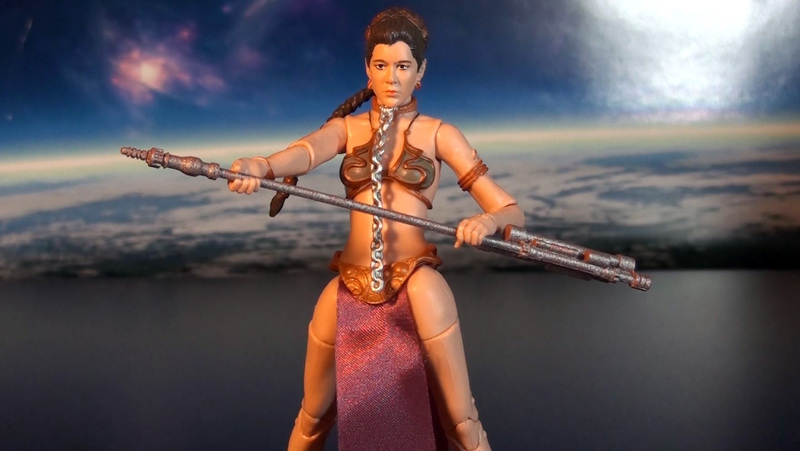 She’s known for sporting small sections of pink on her body when you watch the show, unfortunately they aren’t found on the toy. So I tried out the marker on the toy only to discover the marker really has runny paint and is hard to control. It also goes on too thick. It’s almost better to put on a little paint and use a small brush to spread the paint around so you don’t accidentally bleed into areas you don’t want to be in. The pic below shows how it turned out. I’ll have to extract it with paint thinner and redo it. 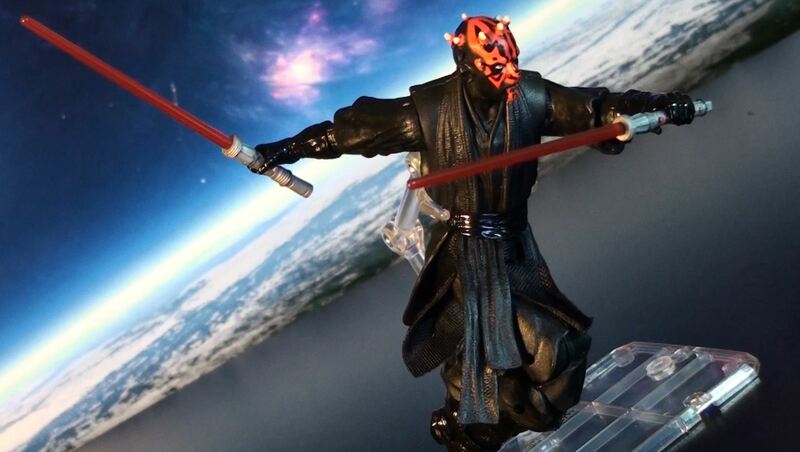 Stopped by Target and snagged another Darth Maul Returns Star Wars Battle Pack so I could have loose versions to pose on my desk. 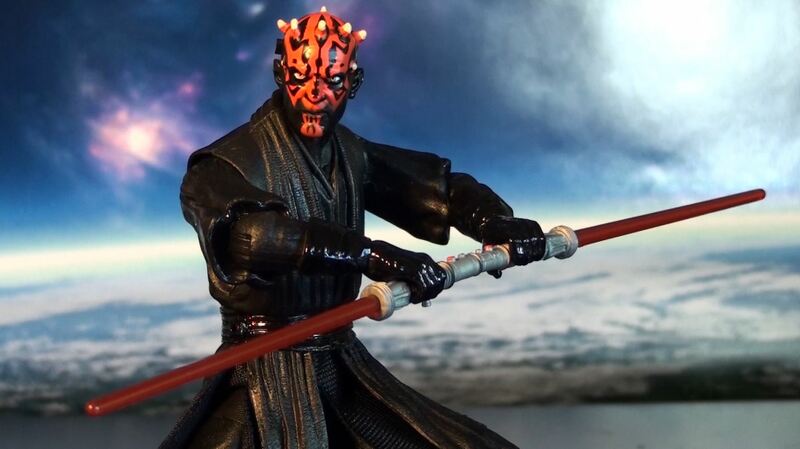 Below is the pic I took so you could see how he compares to the vintage collection Darth Maul. Lastly, I shot video intros for 2 upcoming reviews I hope to have done by Sunday. S.H. 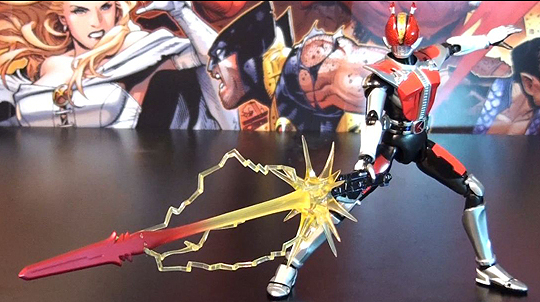 Figuarts Kamen Rider Den-O Sword Form and Hasbro Walmart Amazing Spider-Man 6″ action figure. Welcome to a new feature I decided to start here on the blog page I’m calling Adventures in Toy Shopping, which basically means me finding cool toys in-person at the stores. For this entry, I made my way to Target on a very late Sunday afternoon after watching my San Francisco 49ers beating the Green Bay Packers and San Fransisco Giants beating the Los Angeles Dodgers. Needed to do a little grocery shopping for breakfast and lunch. For me, it’s very hard to find cool toys on a weekend because stores get very crowded but I lucked out. 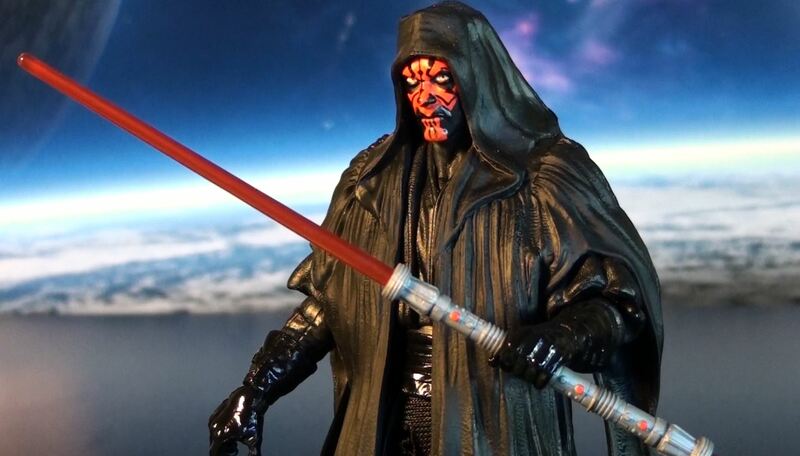 Strolling into the action figure section, there was bunch of special sales going on for every Hasbro toyline on display – Transformers, Avengers, Spider-Man, and Star Wars. 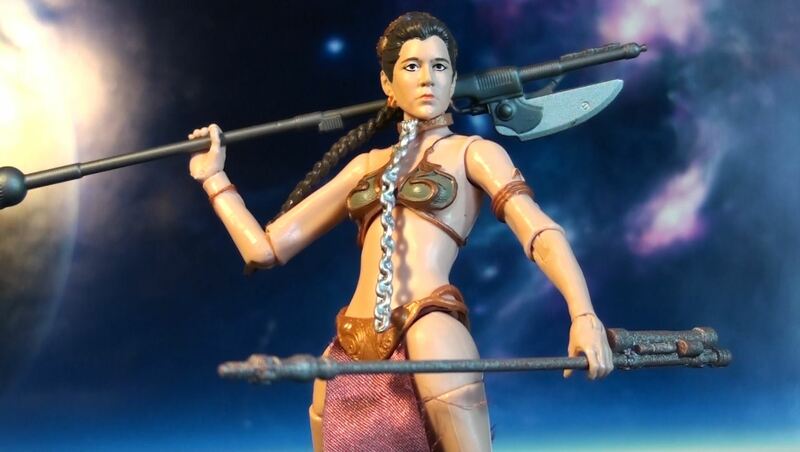 Most of what I saw were 3.75″ figures. 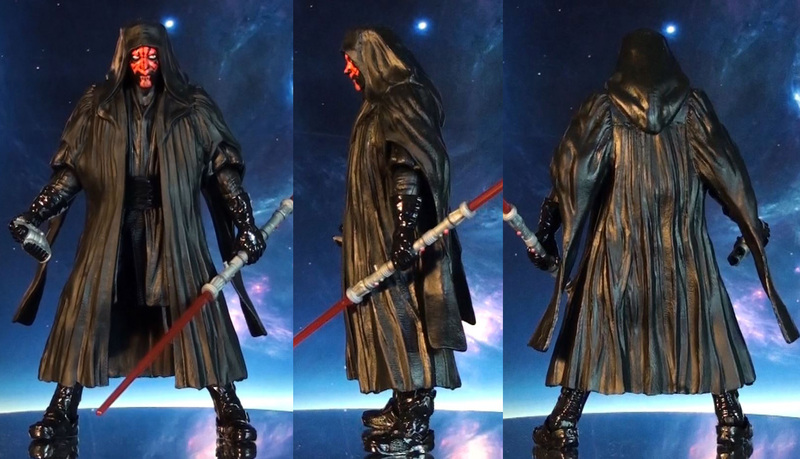 I recently decided to stay away for that scale and just focus on 6″ scale figures so nothing really special stood out except for a familiar Sith Lord giving a me an evil look. 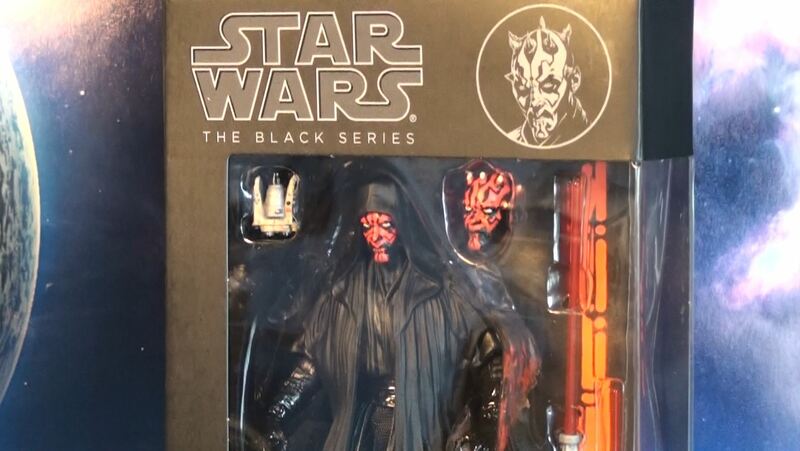 Glancing towards the Star Wars section, specifically the vehicle shelf was a Star Wars Battle Pack peaking its head behind a Jedi Starfighter entitled Darth Maul Returns. OMG! 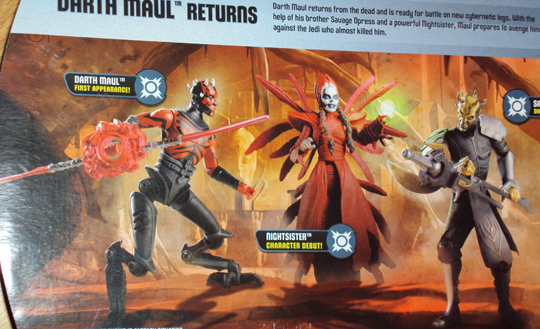 It was the Clone Wars version of the returning Darth Maul along with Savage Opress and Mother Talzin (Night Sister). 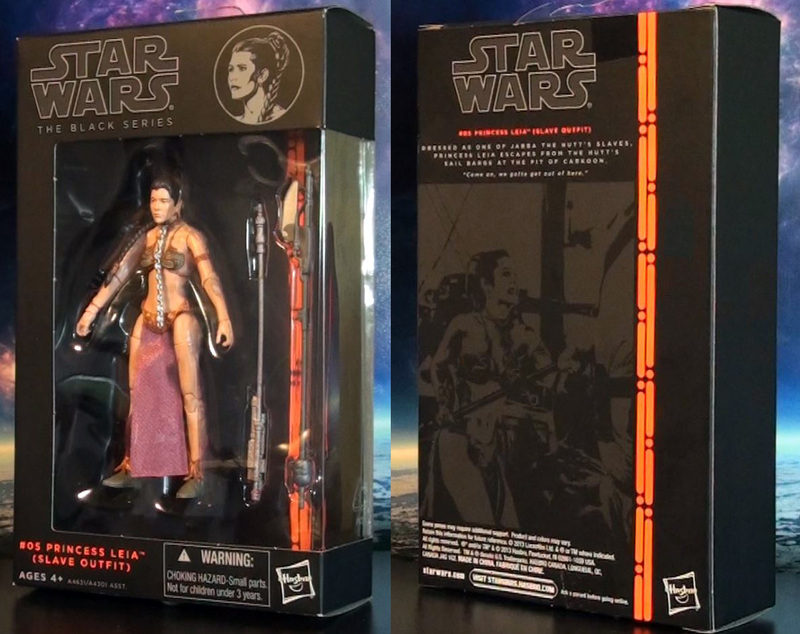 Despite being a 3.75″ scale 3 pack, I instantly grabbed it, dropped it into my shopping basket and made my way to checkout. I really didn’t care how much it cost and didn’t bother to check the shelf price tag but I figured $29.99. To my surprise it was $19.99. After getting home, popping on NFL network in the background, I took a closer look at my purchase. First off it’s a Target Store Exclusive. 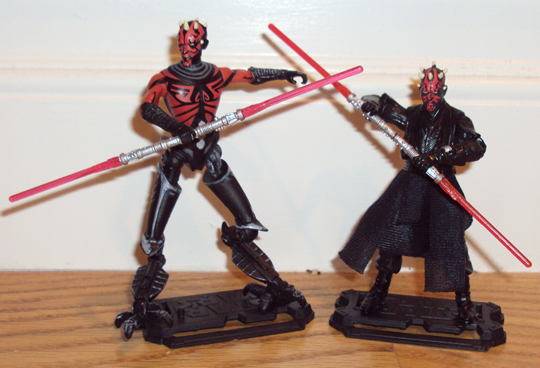 Secondly, this is the 1st Darth Maul and Talzin figures in the Clone Wars toyline. I have no intention of opening this up, they look so good in packaging and will mostly be worth a lot if I hold on to it. 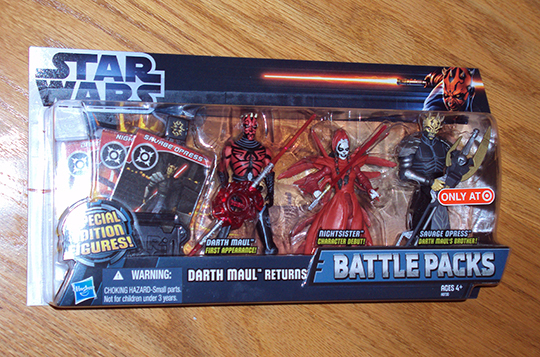 I suspect this Battle Pack just hit the shelves so if you’re a fan starting hunting. Check out the photos below. 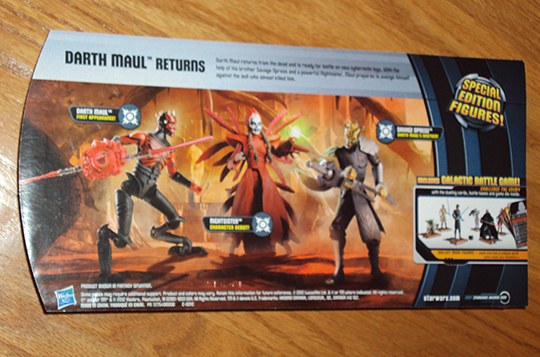 The title of this battle pack says it all. 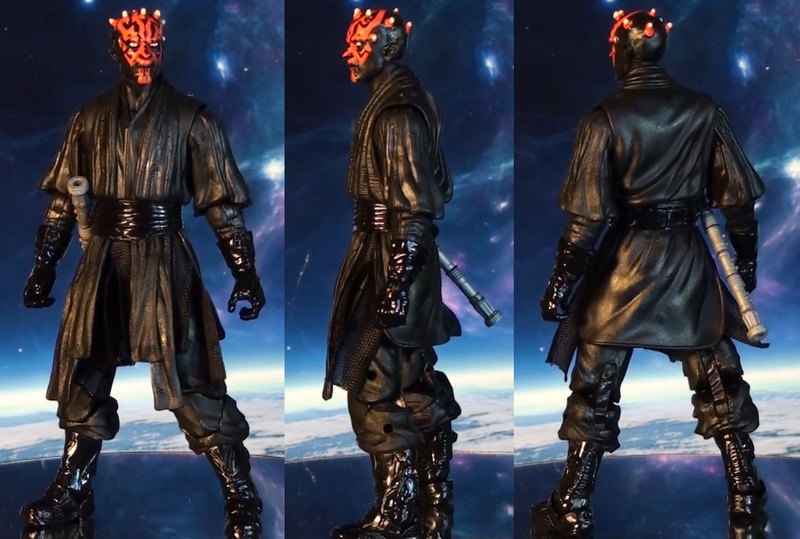 Darth Maul sports an awesome sculpt. Interesting lightsaber. 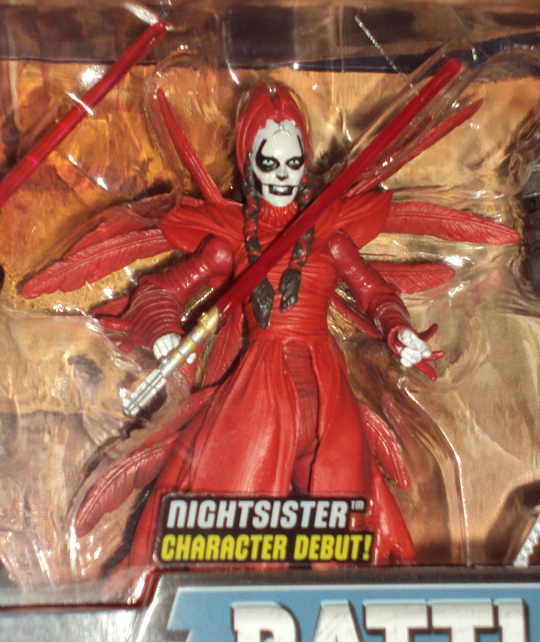 Card never mentions her real name – just Nightsister. 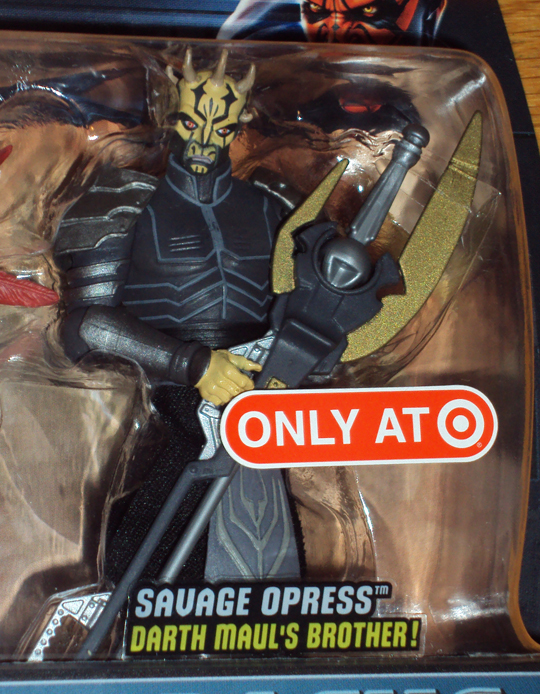 This Savage Opress looks to be a reused mold originally released in single card format. Closer look at the back product photo.